Macquarie University’s new business incubator is hosting a two-day Macquarie Park Innovation District hackathon to develop technology transport solutions. 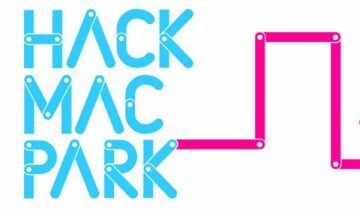 The Hack Mac Park event, from 9am on Thursday 2 November to 5pm on Friday 3 November, is a problem-solving event bringing together a diverse group of skillsets to build innovative solutions. The hackathon is bringing together businesses, technology experts, researchers and students for an intense two days to develop potential new mobility and technology solutions. It is being held at the new Macquarie University Incubator that was officially opened in September by the Duke of York Prince Andrew. The NSW Government funded the incubator through its Boosting Business Innovation Program which is providing $18 million to the state’s 11 universities – including $1.5 million to Macquarie – and CSIRO to help businesses innovate. Hackathon judges include Silicon Valley venture capitalist Howard Caro of 1955 Capital, Macquarie University’s Director of Incubation and Entrepreneurship John Shi-Nash, the university’s Academic Lead for Entrepreneurship & Innovation Dr Lara Moroko, and Colette Grgic who is Chief Innovation Officer for tech start-up accelerator BlueChilli. Expert mentors will support hackathon teams to develop solutions with prizes including incubation offering in the Macquarie University Incubator, courses and cash up-to $6,000. “The hackathon will focus on mobility and connectivity in Macquarie Park and consider issues including flexible working, the night-time economy, sustainable transport, community activities, last mile transport, asset-sharing, talent-sharing, and other solutions to help reduce congestion,” said Dr Paul Hogan, Executive Director of Corporate Engagement at Macquarie University.